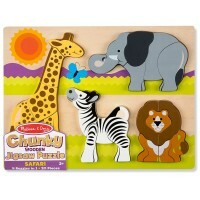 Meet the friendly safari animals from this first peg puzzle by Melissa & Doug. 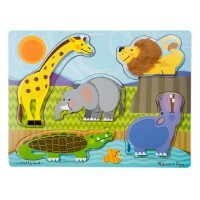 Roar like a lion, skip like a zebra, and put this first kids puzzle together like a big child! 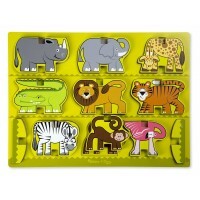 Safari Animals Peg Wooden Puzzle is a new addition to Melissa & Doug's first puzzle collection. 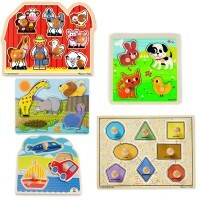 This animal theme toddler puzzle features lighter wooden puzzle pieces, each with sturdy plastic pegs for grip and more play fun. 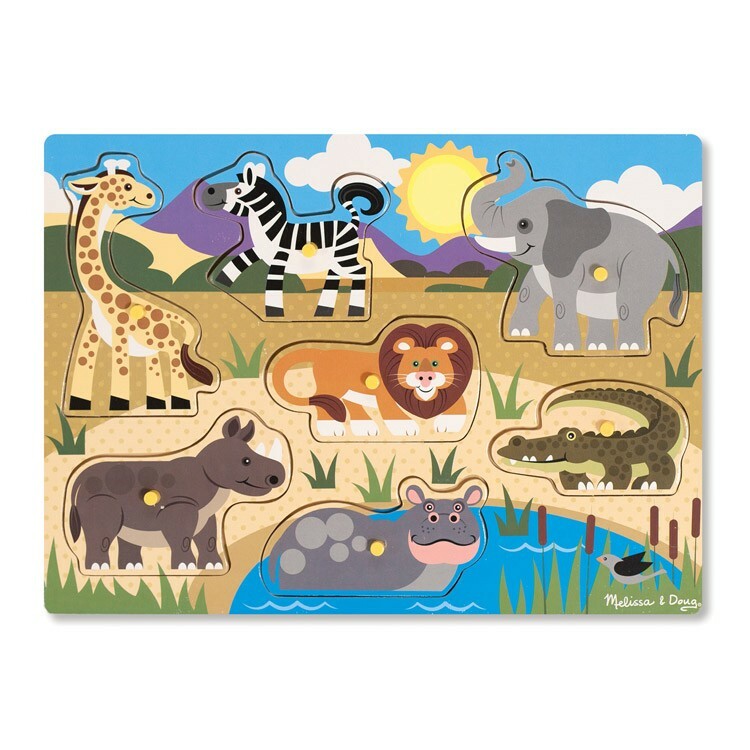 The Safari Animals Peg Wooden Puzzle comes with 7 pieces, each feature kids-friendly illustration of a popular safari animals: elephant, zebra, lion, giraffe, hippo, alligator, and rhino. 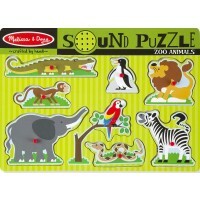 Remember how each animal is called, pretend play with this puzzle safari and enhance small motor skills with this Melissa & Doug first puzzle. 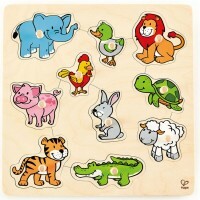 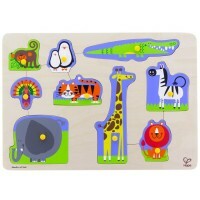 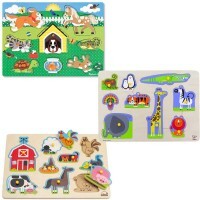 Dimensions of package 8" x 12" x 1"
Write your own review of Safari Animals Peg Wooden Puzzle.